Pieter Heijs, owner of Hollandia Matzes. ENSCHEDE, Netherlands — For most matzah bakeries, Passover is their lifeline and only claim to financial viability. Almost all the profits of his matzah bakery — the only one in Holland — comes from sales to non-Jews of a product that lacks the “kosher for Passover” certification. However, for four weeks ahead of Passover, Hollandia also produces kosher-for-Passover matzah, which “costs more to make than what we get for it,” Heijs said. The factory, which produces about 40 million matzah crackers annually, also makes small amounts of shmurah matzah — the specialty variant that is even costlier because of its stringent adherence to the kosher rules for the seder. To prevent even the hint of leavening, the wheat and flour never come into contact with moisture from the time of the harvesting until the dough is kneaded and the sheets are baked. A liberal nation that was home to one of Europe’s most illustrious Jewish communities before its near annihilation by the Nazis and their collaborators during the Holocaust, the Netherlands has other examples of interfaith borrowings (take the oliebol, a deep-fried winter snack in Holland that many trace back to the Chanukah doughnut called sufganiyah). In an overture to the health-food crowd, one of the first moves by Heijs and his business partner, Udo Karsemeijer, who also is not Jewish, after they bought Hollandia in 2004 was to add an organic matzah product to the lineup. It includes matzahs in two sizes, a whole wheat variety and one with spice herbs. Heijs and Karsemeijer bought the Hollandia factory from a Jewish family named Woudstra. The founding family built the factory in Enschede because it had a large Jewish community, and because of the arrival to the eastern Netherlands of thousands of Jews who fled the Nazis in nearby Germany. Before the invasion, the Netherlands had several matzah bakeries, according to the Dutch Bakers’ Museum. Among the best known and oldest was the De Haan bakery in the picturesque fishing village of Marken, north of Amsterdam. It operated only ahead of Passover, and after the baking of the last matzah each year, De Haan employees would march to music through the village dressed in white sheets and ceremoniously extinguish the ovens. The factory reopened after WW II, during which the Germans killed 75% of the prewar Dutch Jewish population of 100,000. The community never replenished its numbers. The eye-catching and instantly recognizable packaging of Hollandia matzah boxes — an orange-colored octagonal cardboard box with a nifty camera-aperture opening — was a marketing coup cooked up by the Woudstras, Heijs said. 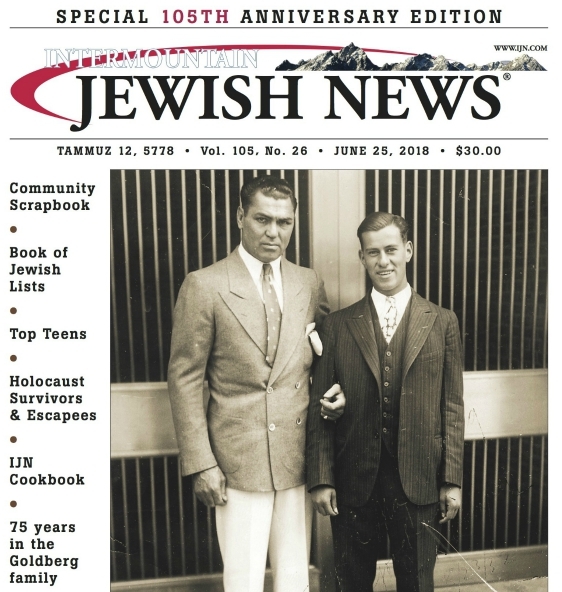 “But it was also a practical decision: Matzah requires no eggs, no salt, no sugar — all commodities that were in very short supply immediately after the war,” Heijs said. Whatever the reason, he added, the reality was that Hollandia was “one of the first bakeries that were restored” after the war, thus entrenching its status as a household brand. Karina Ahles-Frijters, who lives in Hilversum, near Amsterdam, wrote in 2016 on her parenting blog Trotsemoeders that her three children like to experiment with matzah toppings (her eldest prefers whole wheat matzah with butter and sugar-coated anise seeds, she wrote). One day a year, the Hollandia factory is open to anyone interested in making his own matzahs. “After 14 years of making matzahs, of course I developed friendships and bonds with many Jewish people,” said Heijs, who on Passover eve this year will attend his first seder dinner with his wife at the invitation of a Dutch Jewish community in northern Holland.